Smart bistro set is slimline with a clean polished veneer finish. Comes with 6 chairs with Chrome legs with extra gripping feet. The set is easy to build, store and maintain. 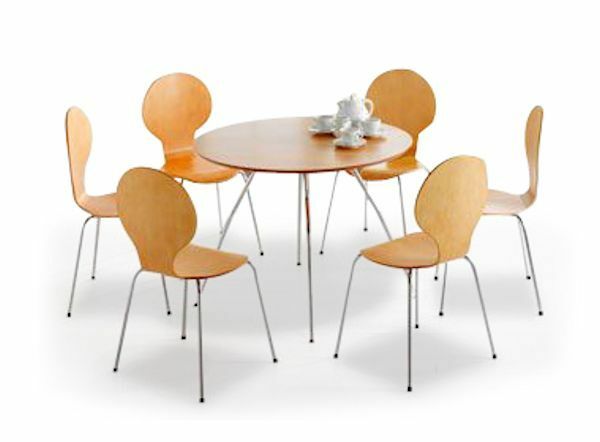 The Butterfly bistro set consists of six chairs and a circular café table. The table top is maple veneered on a mdf core and is 1000mm is diameter. 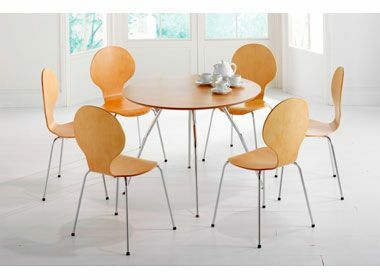 The café table is supported buy chrome splayed legs. The Butterfly café chairs are stackable and have chrome legs. Butterfly bistro sets are delivered require self assembly and are delivered within 2-3 days from order. Please contact our sales department for further information on Butterfly bistro sets.